Negative-stranded RNA linear genome, about 13 kb in size. Encodes for eight proteins. 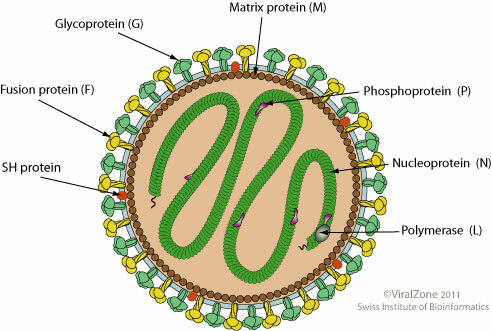 Virus attaches to host cell surface receptors through F and G glycoproteins.